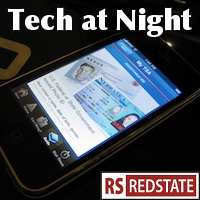 Tech at Night: Eric Schmidt, Google, AT&T, T-Mobile, Verizon, Sprint, Clearwire The Net Neutrality repeal vote is coming. Tell these Dems to vote Yes. I’m late. No excuses. Let’s go. So the courts threw out Verizon’s challenge of Net Neutrality, rejecting the very clever argument made by Verizon that it wasn’t premature. So now we wait for the actual publication of Net Neutrality to take place. Well, to a point. The Republicans aren’t waiting and will vote this week in the full House to repeal Net Neutrality under the Congressional Review Act. Remember: this cannot be filibustered in the Senate, and so when it passes the House we only need 51 votes in the Senate, not 60. Seton Motley has some phone numbers to call if you’re represented by a key Democrat. Another big story at the FCC is apparently a very old story in the regulatory world. A competitive loser is seeking government help to overcome its market deficiencies. Sprint stopped investing in its wireless network: its investments going from $5.1 trillion in 2007 down to $1.5 trillion in 2010. It’s no wonder they’ve fallen off and are rumored to risk bankruptcy. AT&T went from $3.7 trillion in 2007 to $8.4 trillion now, while Verizon went from $6.5 trillion in 2007 to a matching $8.4 trillion now. As a result of that massive investment deficiency, Sprint’s network isn’t as big, covering less space and fewer people. So, Sprint now wants the government to give it a regulatory bailout by regulating roaming charges in a way that benefits Sprint, the would-be looter, over Verizon and AT&T, the producers of valuable networks. We’ve got to stop this if we want companies to have incentive to continue such huge spending on their networks. Moving onto security, Bayshore Networks’ Francis Cianfrocca has more on the obscure but important issue of the breakin at RSA that just might have compromised the SecurID system. I’m glad he’s following this issue, because it’s not being talked about enough, I think. Sure, he works in a sales pitch, but the point is legitimate. We need better designed security models, not just more command and control, and certainly not more government. According to Rasmussen Reports, Americans oppose a national Internet sales tax by a 63-24 margin (MoE 3). That’s not even close. Nor is it close when Internet regulations are also opposed 53-27. The tax-and-regulate faction of the progressive left only has a quarter of the country, per this polling. Let’s end with some copyright. In a stunning reversal, I’m actually rooting for the copyright zealots at Sony in one narrow case: when online anarchist terror group “Anonymous” goes after them. The attack on the PlayStation Network threatens their traditional base of support and recruitment, 4chan, as a hundreds-long post thread appeared on the Video Game form there, mocking Anonymous mercilessly, my source reports. And as I predicted, Copyright will again be wielded as a weapon against innovation as some ridiculous attempts are made against Amazon. Amazon is a well-established leader in online distributed services: computing, storage, web hosting. The new music-oriented storage service is nothing new, and if it counts as a radio station, then any online file backup is at risk, which is absurd. I used to avoid spending money at Amazon over its aggressive enforcement of the one-click patent. I eventually forgave them and moved on. Well, if they spend millions on defense to avoid paying even a penny of tribute to the RIAA over this, then I will gladly spend with them early and often. Also, there’s a new site that I have high hopes for on matters of copyright, trademark, and similar issues: Beyond Clause 8. RedState diarist Amy Miller has a key role with it, with the METAL Society at the MSU College of Law. Yes, in the past she’s invited me to write there, and I yet might, but even if I didn’t, I’m hoping for good discussion there. With a conservative editing it, there’s always that hope. So check the site . I will be following it closely.